This large hawk flew in at dusk. 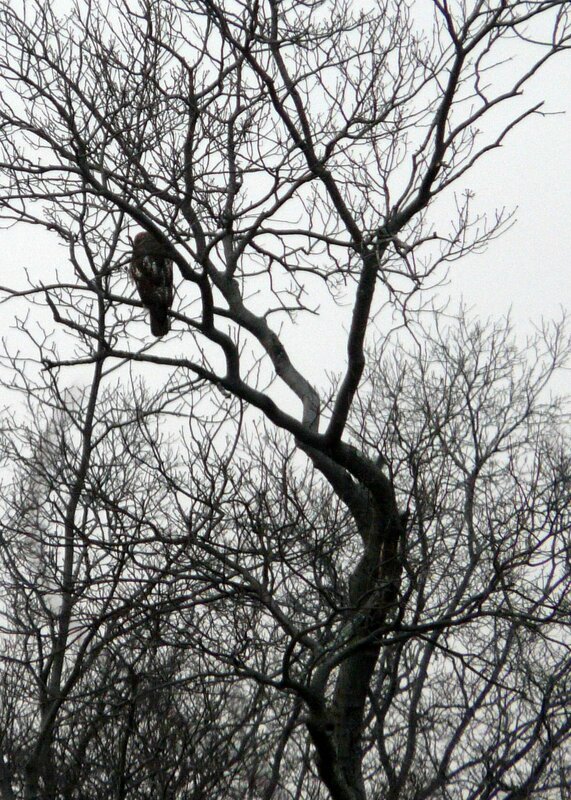 We estimate he is about 30 inches, at least twice the size of the sharpshined hawks that are more common on the lake. 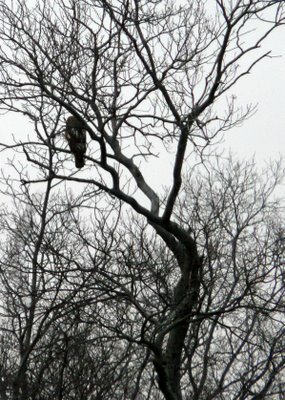 We weren't able to identify what type of hawk he was. Maybe he's an eagle.